As part of their customer retention program, the owner sends clients a thank you note after completion of a job with a small token of appreciation included. When the customer retention program was first started, they had been using generic cards, but now that the program was more mature, felt it was time to go with a branded card. I kept to the company colors of black, cyan and silver. 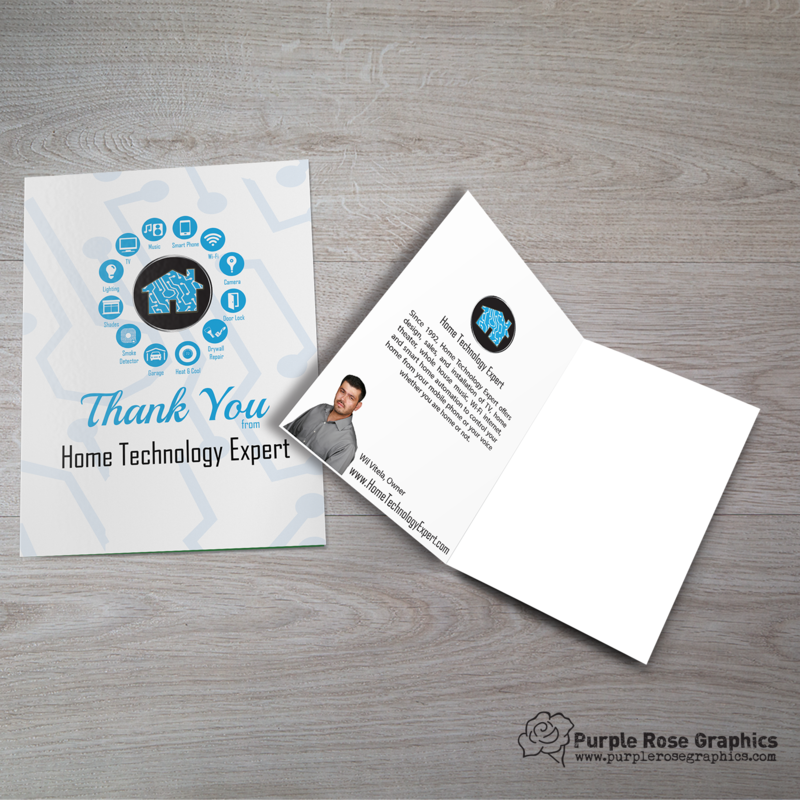 They wanted a card that felt warm and inviting, but still classy and “tech feeling”. For the front, I used their logo and elements from it, along with a large brush font script “Thank You”. I used their logo font for the inside text of the card.